Got to let your soul shine, shine till the break of day. I have been thinking about this post for quit some time, but it wasn't until today that I really was able to get it right in my mind. These last few weeks of training have really started to strip me down not only physically, mentally, but spiritually as well. What I mean by strip down is with so much going on preparing for this race that decisions are very easy to make. I always tend to try to go over every angle before making a decision in both my professional and personal life. As it is my personal life is consumed with all things Ironman, but my professional life has been consumed with many issues as well. So their has not been any free time allowed for anything that is not either professional or Ironman. A small example of this also gives you an update from the last post. I was asked by my cardiologist to try one more medicine to help bring down my cholesterol. The last medication that my doc had me on, I had a reaction to it and it took over 9 months to work out of my system. I feel that I know him well enough to know that he wouldn't push this if he didn't think that I really needed it. 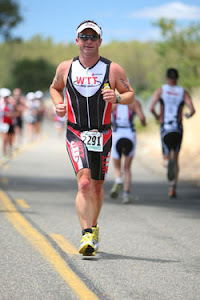 Anyway I called them this last week to tell them that yes I have muscle soreness, but geez I am training for an Ironman! Also, there is no way that I can find one morning that I can fast to get blood work done after working out for 1-2 hours before work. So I'll just keep taking the medicine until I can get past this Ironman. Then a close friend sent me a text that said: I hope this isn't weird. I prayed for you and your family this morning. Prayed for your strength and courage to get thru the training for the IM. Prayed for patience and support for your family. This is from someone that has been through this level of training and racing. It really reminded me that I needed this kind of support, and it helped me more than this friend will ever know. Around the same day I had conversations with two other people that have gone through training and racing the ironman distance, and they both told me that I needed to prepare myself for the reality that some time during this race you will go into a pretty dark place. Then they both added but remember that no matter what you have to keep going because you will get through it. Tim has gotten me to the point of being able to handle this physically, and Dr. Cooper has gotten me to finally understand how important nutrition is for training and racing. I have been wondering if I have done what I needed to do spiritually to make it though this race. No matter what, this race is going to come down to my spirit being strong enough to finish. Today I realized that putting myself though this is forcing my soul to shine. It has to because everything is slowly being stripped away. Then I thought of not only all of the bad things in the world that we hear about daily, but also all of the ups and downs that we as individuals go through every year. There are many times we believe that we can't take anymore crap from this world, but that also seems to be when our souls shine brighter. Then the lyrics above came back to me, and I know that when I enter that dark period during this race I will do what I will not want to do. I will smile! It is the only way I know to physically let the others around me know that even as bad as it is my soul is still shining. Smiling is really the only socially acceptable way to give all the bad stuff in our world the bird. I am hoping that me smiling at my worst will help others get through their worst. So even if your life will never have anything to do with some crazy endurance training we all will have bad times. Even if it is just for a second…smile…and let your soul shine. In all my soul shining, smiling, keeblerness I wish you all the best this weekend! P.S. For those of you that have never experienced the auditory greatness of the Allman Brother's Band playing Soulshine below is the video. It is worth the listen! Not long after I published the last post I realized that I was ignoring something. Mainly the fact that after finishing a workout one day last week and I had the chills. Not really thinking that I was sick I decided to go ahead and check my temp. Boy was I wrong! I had a temp and an explanation why my body would not respond to what I was telling it to do. This brought me back to a conversation that I had with Elliot taking him to the airport after the Buffalo 70.3 race. We were both talking about how when you are training and racing there is always a fine line between healthy and sick. Then he said something to the effect that, "The reality is that a person's body is like a princess." At that time I just thought that it was a funny statement, but if you really think about, this is a very true statement. Most of us believe that if we aren't sick then we are healthy. The reality is that your body is always talking to you. It will tell you want it wants and needs. Like a princess, if your body is getting what it wants it is a smiley happy person, but if the slightest things is wrong or not right, it will start kicking and screaming. Now the difference between being healthy and unhealthy is that the better you treat your body the better you can hear what it is saying to you. I learned this lesson after the Grassland's race, because my body was telling me something for a while and I ignored it. Then this last week I was probably pushing my limit again, and ignoring that I needed more rest. Hence getting hit with a fever and cold for the first time in a very long time and being forced to rest. I am now less than two and a half weeks from the biggest challenge that I have ever tried to accomplish, Ironman Boulder. 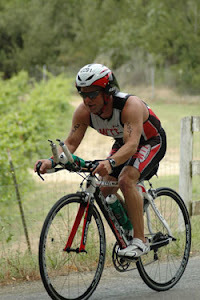 I am not sure if it will be as much about me surviving my first Ironman as it will be about me surviving the training. For now I am doing my best to listen up to what my body is telling me with the workouts that Coach Tim is giving me. I am also trying to do my best with the tools that Doc Cooper with CNS Athlete has given me on nutrition. As much as we want exercise to be the only answer to how healthy you are it just isn't the only answer. You have to pay attention to what is going in for fuel. Those of you that have followed me on this journey know that it will always be about more than the race, and who knows if I have what it takes to be an Ironman. All I know is that there will always be bad stuff that we will all encounter, and if you wait until that happens to you in your life you might not be able to fight. So decide today, do you want to listen up and fight or just give up? Tomorrow will be the 4 week count down to my first Ironman race, and it has been a bumpy last few weeks. Since I last checked in with all of you I was dealing with a what I believed to be an ITB syndrome issue that was keeping me from running. Well that diagnosis is not fully right, and more than likely it might be some lower back nerve issue. Now in my case this sounds worse than it actually is, but in my defense it is extremely annoying. Near the end of May I was still not training as much as Tim and I would have liked, but I was able to stay active. 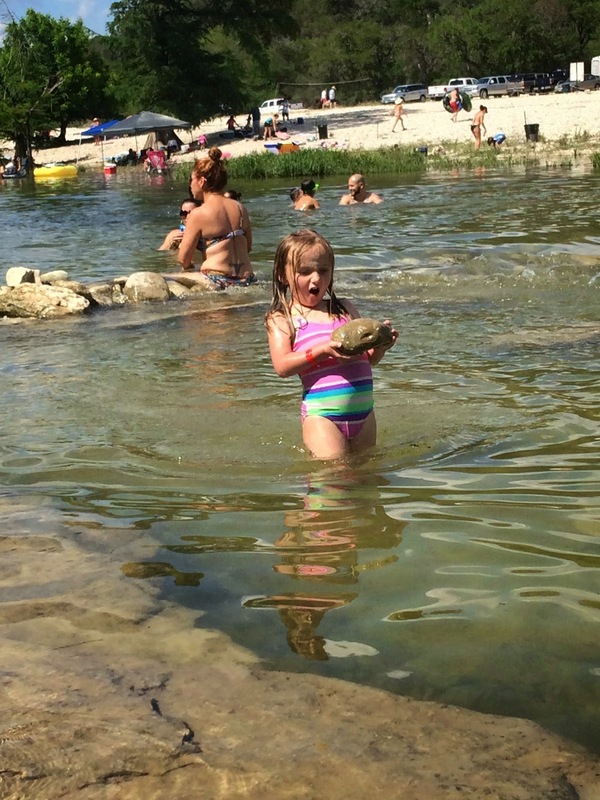 Then our annual family trip to Concan, TX at Neal's Lodges came up. Even though I was stressed about my lack of training I knew this was a great time to recharge. I normally would not bring my bike on a family trip, but this year was going to have to be an exception. Tim said that if nothing more this was a great time and place to get in some bike miles, and just forget about running for the weekend. 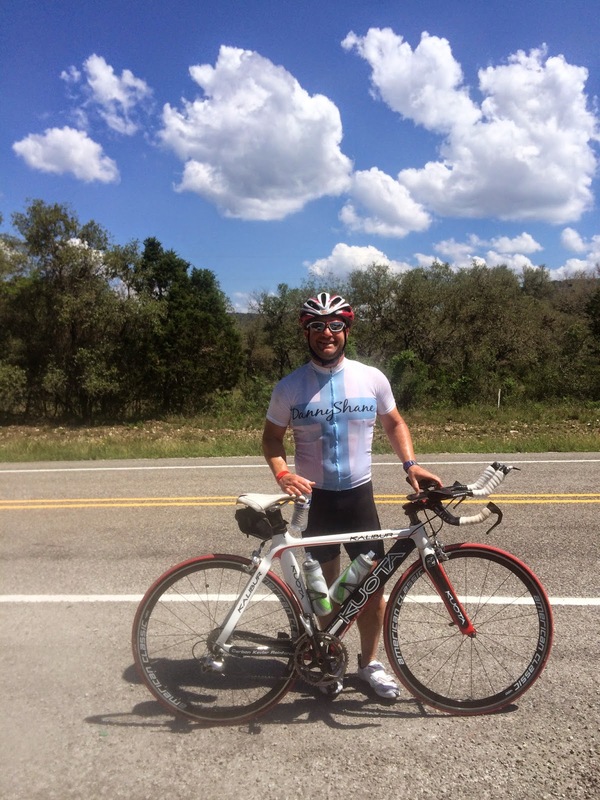 The first couple of days I got in some great hill country riding, and was barely feeling any issues with my leg. This wasn't just a great place for training, but it was also some much needed family time. I don't know if any of you feel this way, but many days Susan and I feel like we just high five as we pass each other in the doorway. As I have talked about balance this is one of the most important ones, family! 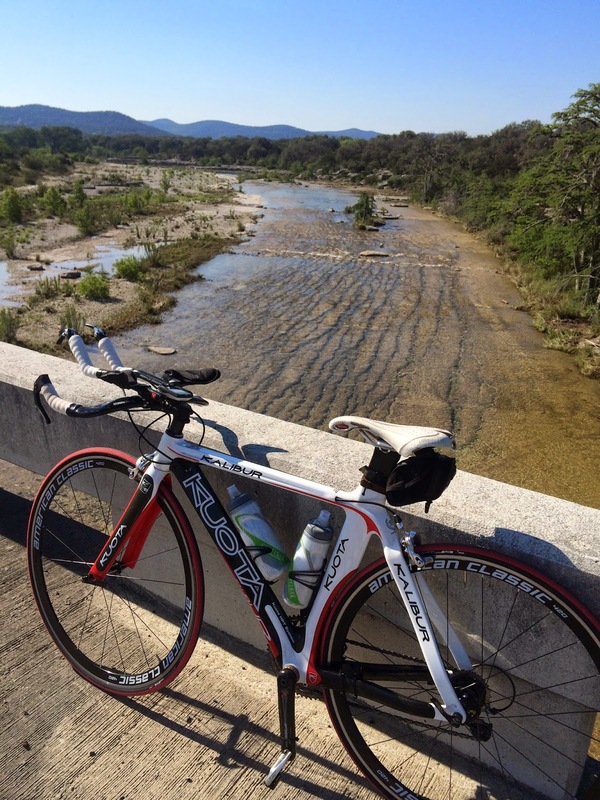 After my bike ride on our first full day there we decided to go float the Frio since it was really flowing after some much needed rainfall a few days before. The last time were at the river it was so low floating was more work than fun, but this time it was great! We even had a few rapids that we actually had to walk the kids around. As a matter of fact I even helped a slightly huge pregnant woman down with her tube while her husband saved the beer tube. Question for you readers: Is chivalry really chivalry when followed up by stupidity? Now back to the story. So since I really didn't want to miss the fun of going down the rapids even though I had lost my tube at this point. Well the obvious choice at the time was to go down without a tube. I had barely gone a few feet before I made rapid contact with very large rock. Now considering that I hit it hard enough that I saw stars I was pretty sure I had broken my tailbone. Anyone that has ever done this knows the pain I am talking about. My next thought was seriously I am starting to finally get recovered from one injury, and now I have done this. Not to mention the fact I am going to have to tell my coach I broke my a**!!! Thankfully while you are in Concan, TX unless you have AT&T you have no service at all. In this case I am really glad I didn't have to make that call. Actually now that I think about it not having service was the best part of the vacation. The next day I had a 3 hour ride scheduled and decided to give it a try. It wasn't the most comfortable thing in the world but it was manageable. Other than just hanging by the river we did a little weight lifting! 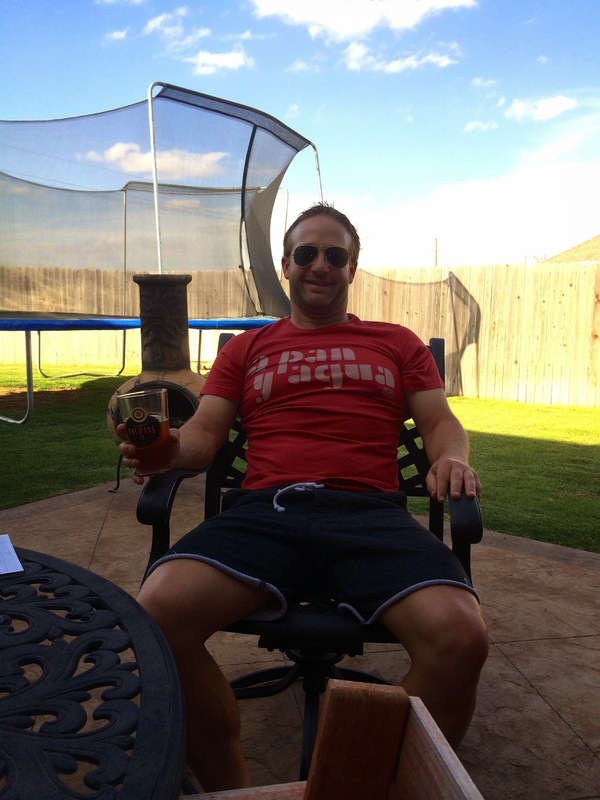 Besides the little accident it was a great time to decompress, and get ready for the Ironman training to come. This blog started with my first visits to my cardiologist last year with the fear that I was already starting to have the same issues that many men in the family have had before me. Well I had a follow up with my heart doc Dr. Borno for my yearly check up. To recap last year we went though a few statin drugs to try and bring my cholesterol numbers down, but I kept having reactions to them. Since then I had some blood work and my numbers were well out of the range. Even with my lifestyle he wants me to try the last drug that he thinks will work. In his words as high as your numbers are your lifestyle helps but we still need to be aggressive. The funny thing is that I am sore all the time now from Ironman training so I really can't tell if I am having a reaction to this medicine or not. I will have to redo blood work soon, and maybe we will find that this has helped. Now on to the machismo part of this blog. 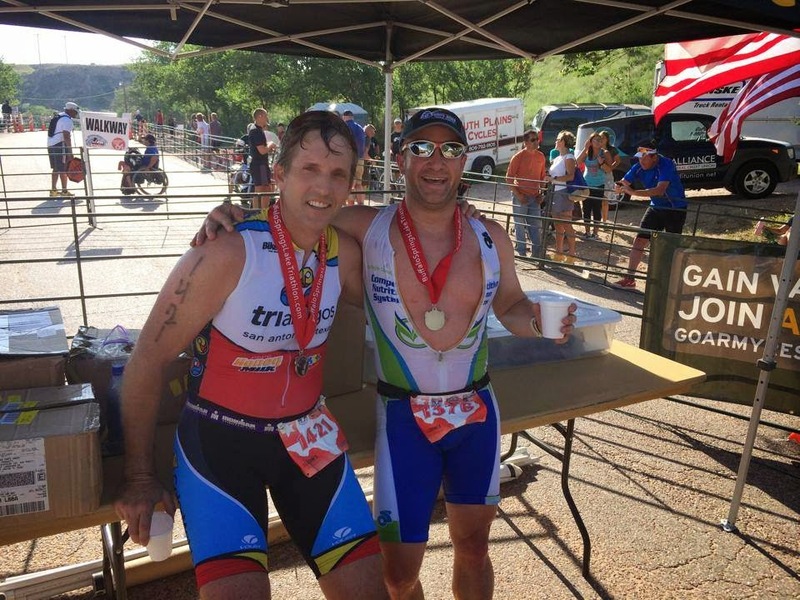 A big part of my plan going into my Boulder plan was to race the 25th anniversary Buffalo Springs Triathlon. Since my recovery has been so slow on this leg injury Tim and thought it would be best to test my leg out on a shorted course and hope it holds up. Now this was my first time to race this year which means you have to work out the race kinks. The only thing that I was not prepared for was the zipper on my new race suit to break. Some experience helped me here because I didn't freak out, but I did have the race bike mechanic try to fix my suit before the race. Finally I just figured it is what it is and I just needed to go race. Besides that my race went well I was able to finish in the top ten, and place in my age group. The best part for me was that I was able to run all out and my leg never bothered me. Now this wasn't a marathon, but it gave me some confidence that I might be able to finish the race in August. Even though it was a great race for me the best part of the weekend was meeting our home stay that was in town for the 70.3 race. His name was Elliot Holtham a professional triathlete from Vancouver, Canada. Who had just won Ironman Australia a few months earlier. It was really interesting how a professional athlete prepares the few days before a race. One of the biggest things that I learned was to trust your training and relax. He didn't have the race that he wanted, but I hope that he had as great a time as we did hosting him. Those of you in triathlon remember his name he not only has the right mindset, but definitely the right spirit to be one of the best. It is crazy watching the dedication these pro men and women put into this sport. There is no other sport where we as amateurs are able to interact so closely with the Pros. It was a great pleasure for our family to know Elliot and we will always be huge fans and we wish him the best with his upcoming nuptials! As usual this update has gone on long enough, even though I have so much more to update you on. I am hoping to update more frequent since I am less than 4 weeks out from Ironman Boulder. Even though things gave been a little rocky and tough everyone of us is going to have our issues, but it is about always trying. I used to think that I was doing this to add more years to my life, but only God knows how that is going to turn out. What I can do is try to make my quality of life better for the time that I have here. P.S. I didn't have a broke a** just severely bruised, but even with that it has been painful.